The SATA-based SSD market has now become quite stagnant and saturated. Prices have tumbled in recent years which has been great for mainstream users who can benefit from a slice of solid state action. However, with the arrival of NVMe technology and the humble M.2 slot enthusiasts can now breach the 550MB/s threshold and benefit from significant bandwidth increases. Today we'll be looking at one such drive which has been in the works for quite some time. 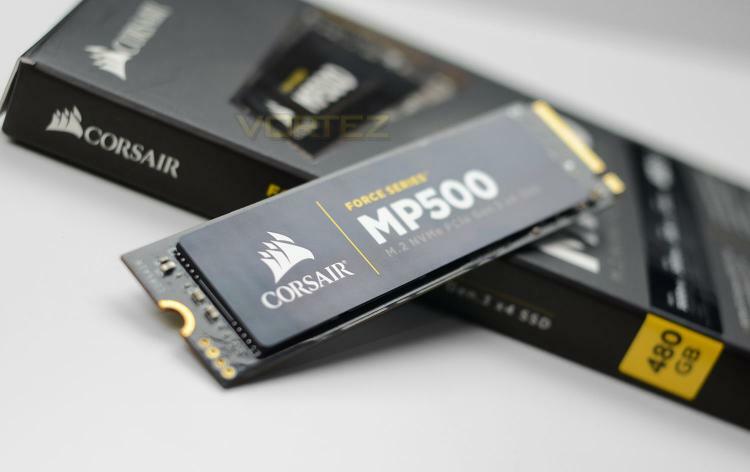 In the spotlight today is Corsair’s new MP500; an M.2 SSD using NVMe technology and PCI Express Gen3 x4. Corsair's SSD portfolio has been dormant for the last few years and advocates of the brand have been eagerly waiting for the arrival of an M.2 SSD and that anticipation has been quelled with the MP500; this is Corsair’s first SSD using such a form factor and promises to deliver astounding performance reaching up to 3000MB/s.